Today I want to share how grateful I am for simplistic situations that can be used to teach life lessons. Life has the ability to change in the mere blink of an eye – literally. Last night I was hanging out with my parents and my eldest son. Always a fun time. Then suddenly my eyes started to itch. I shrugged it off thinking I just had to wash off my eye makeup. Then, within minutes, they started to really itch. Now I’m thinking – allergies. Then my sinuses started, my chest hurt, and I started to feel awful. When I say this was a sudden onset, I mean, this happened within minutes. It looked as though I was heading for a summer cold. So I went to the home remedies and immediately boiled some water, and put together the mix of honey, lemon and apple cider vinegar. I drank it and wrapped myself in a blanket and got some sleep. I woke up this morning, feeling better but still a little weak. The part I excluded from the story was that my son wanted to talk to me about his schooling in the fall and wanted to make some plans. My son is very independent and when he says “mom let’s chat” I know it is a pretty big deal. So I had a choice – push through and give him as much of my attention or take care of myself. I decided to take care of myself. I told him I wasn’t feeling well and we could chat in the morning. This may not seem like a big deal but when it comes to my children, I try my best to be there for them right when they need me. What I did do, was provide him with the paperwork he needed to help him with his issue but ultimately I chose to take care of myself. It is rather a simple one really. Over the last couple of weeks, the posts and articles that we, at Thrive Experts, have been posting discuss integrity and honesty. Being an example is part of integrity. Showing yourself and others that you matter by taking care of your own needs lets yourself know, and others know, that you matter. Pushing through may seem admirable and martyr-like, however, the message you tell yourself subconsciously is that your needs do not matter. This impacts your thoughts and your self-confidence which ultimately will impact your self-worth. It’s true! What we have to understand is that EVERY choice we make impacts our subconsciousness. It gives our subconsciousness messages about how we feel about ourselves and the world around us. Our subconscious drives our consciousness. Therefore, those decisions that seem simplistic are really a pretty big deal. This is a simple example, but an effective one in that it shows how sometimes, our lives can take an unexpected twist after we have made our plans. We are left with choices and we have to decide what is best. Push through and risk making a mistake because you are not at your optimal place or take the break and come back stronger? The choice is ultimately yours. Living your life with integrity means being very aware of what your body is telling you and taking the appropriate action to take care of yourself. This is how we thrive. Live life better than good. Operate above the line. Please like, share and comment below. I appreciate you. Be sure to visit me over at Thrive Experts www.thrivexperts.com and contact me, Jen Slay, or Jennifer Jimbere with any questions you may have. Jennifer Slay is an award winning speaker and best selling author. She is a practicing social worker and therapist and one half of the Thrive Experts. For more information or to book Jennifer to speak at your event, email at info@jenslay.com or call 1-877-786-7190. P.S. I wrote a book called Finesse Your Life – Mind, Body and Spirit AND the Finesse Your Life Journal is also available! Check it out on Amazon.com and Amazon.ca! Paperback and Kindle versions available. For an autographed copy please go to the website under the “shop” tab or shoot me an email at info@jenslay.com. 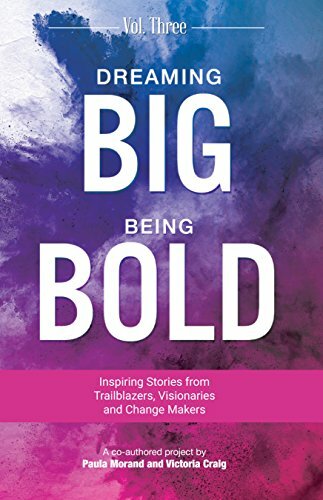 P.P.S I was a featured author in Dreaming Big Being Bold and made the International Best Selling Author status. Message me at info@jenslay.com to get your copy today!